The St. Patrick's Day 4 Miler at Kinsale is what you would expect from an M3S Sports event, a running and walking event slightly veiled as a reason to party. 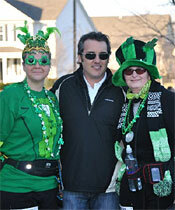 The event features a four-mile course through the neighborhood around the beautiful Kinsale Golf and Fitness Club. 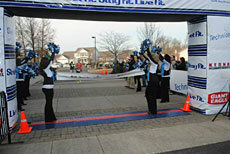 The fully-supported course is open for 80 minutes to accommodate all runners and walkers. After the race, stick around Kinsale for the club's annual St. Patrick's Day Post-Race Party & Concert Featuring Naked Karate Girls. First Beer (21 and over) — please bring a valid I.D. Ticket to Post-Race Party & Concert! 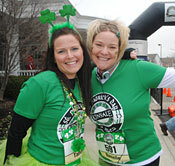 NOTE: Bring your friends and family to the St. Patrick's Day 4 Miler. Tickets to the Post-Race Party & Concert are available at door for just $15. *17 & Under participants do not receive a ticket to the Post-Race Party & Concert. 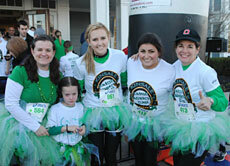 NOTE: The St. Patrick's Day 4 Miler will again offer a discounted price for participants 17 & under that does not include entry into the Post-Race Party & Concert and the complimentary beer. 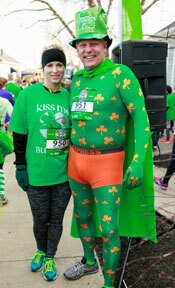 Please note: M3S Sports has a NO REFUND and NO BIB TRANSFER policy for the St. Patrick's Day 4 Miler. Packet Pick Up will be held at Kinsale Golf and Fitness Club from 10am–8pm on Friday, March 15 and from 10am–6pm on Race Day (Saturday, March 16). Sláinte! is Irish Gaelic for “Good Health” and is used as a drinking toast over frosty cold pints. Come celebrate with us!